My brethren and sisters and friends, it is a privilege to be here in this sacred place and to attend this inspiring conference. The Spirit of the Lord is here. I have felt it, and I am confident many of you have felt it, for your sustaining faith and prayers enhance and magnify that divine presence. 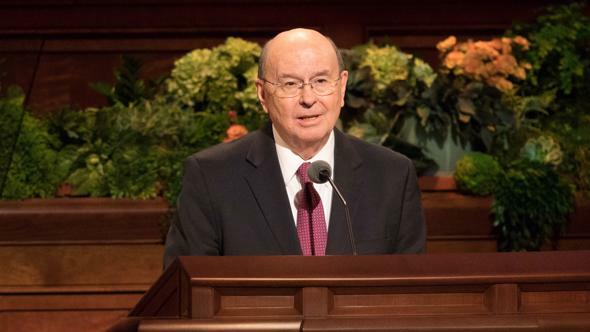 In truth, we are come together for the purpose of witnessing to the world that this is God’s church, that President Spencer W. Kimball is truly a prophet of our Heavenly Father. 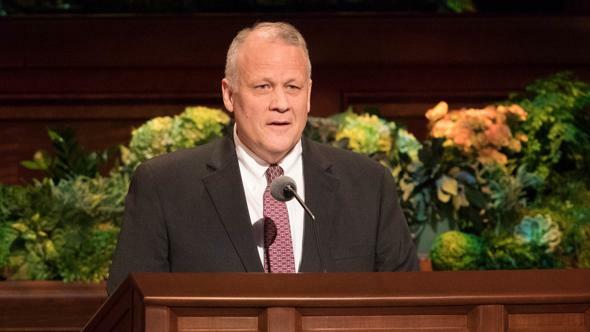 I am sure that my father would have been thrilled today to hear and to have seen Brother Lee sustained as a General Authority. He loved the Indian people as I do and you do. And so we are pleased with this appointment. These past six months have been the most enriching and surely the most uplifting and challenging of my entire life. There are a few simple truths that I should now like to restate and reaffirm briefly. My recent experiences have caused them to loom large in my thoughts. First, I know as never before that there is a form of communication that transcends the power of words. Words? Indeed, they are indispensable. But there is a great deal more to understanding than the use of mere words, as all history attests. An alien spirit may reduce the clearest language to naught but a medium of futility and frustration. This I have observed: There are no language barriers in the Church. There is a mighty power that transcends the power of messages conveyed by words alone, and this is the power of messages communicated by the Spirit to our hearts. In every land and clime the sweet Spirit of our Savior communicates to all who seek the truth, regardless of tongue or dialect. It is a universal messenger to every heart in tune. I have felt it everywhere in my recent experiences, regardless of the prevailing language spoken, and I testify to the power and authenticity of such communications. The Spirit is as operative today in communicating the gospel to all who seek the truth as it was on the day of Pentecost anciently. There is a striking description of this miracle in the Doctrine and Covenants. What the power of the Spirit can communicate beyond the meaning of words is clearly seen in an experience of Brother Peter Mourik, real estate director for the Church in Europe. He met with city officials, including the mayor, to negotiate the purchase of the former city hall. If it could be purchased, it was to be converted into a meetinghouse for the Church. The mayor of the neighboring German town was also present, inasmuch as a recent change in the boundaries involved both communities in the transaction. When the mayor concluded, Brother Mourik said: “Mr. Mayor, you would make a good bishop in our church,” and they all laughed again. The Church bought this choice piece of property at a very greatly reduced price. This was accomplished because Brother Mourik had the courage to bear his testimony. This testimony was accompanied by the power of the Spirit, which inspired the mayor to speak and which communicated a favorable conviction about the Church to the city officials. What the Spirit communicates to the hearts of men is beyond the power of words to portray! The second truth reemphasized in my missionary life is that the Lord communicates in a miraculous way his purposes to achieve. A new elder in Italy by the name of Gary D. Shaw, in following the promptings of the Spirit, discovered this reality. 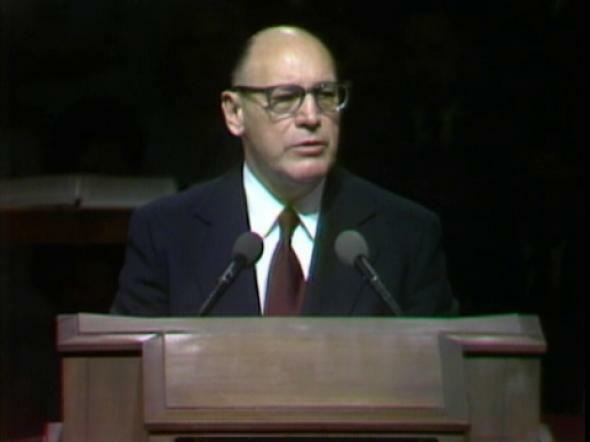 Elder Shaw had been in the mission field only two weeks when his senior companion became ill. The elders, as a consequence, had to remain in their apartment all day. 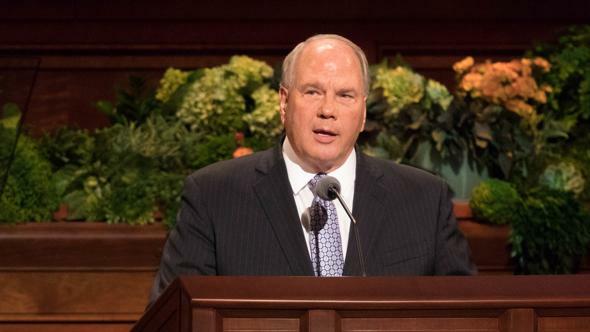 Elder Shaw was moved by the Spirit and had a great desire to talk to someone about the gospel, so he picked up the phone book in which more than three million names were listed. He chose three. There was no response to the first call. 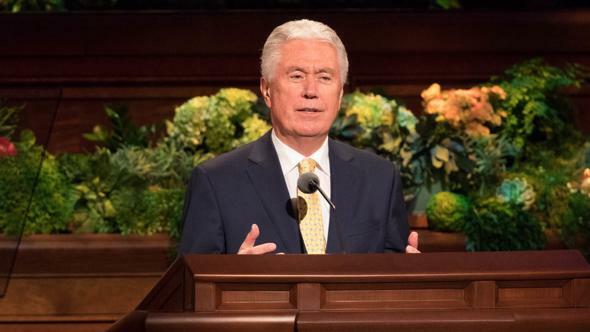 To the second, a woman answered and informed Elder Shaw that she wasn’t at all interested, and to make matters worse, declared that she couldn’t understand his poor Italian and atrocious mode of speech. On the third try, a man answered. 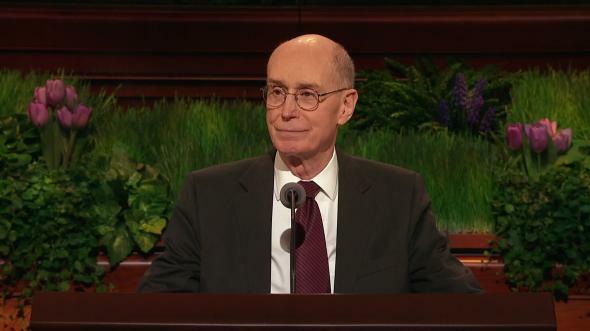 Elder Shaw introduced himself and received a warm response. The man said his name was Mabiglia and that he would gladly receive the elders. This he did. The appointment, made so miraculously, turned into a spiritually uplifting and inspiring occasion. After the first lesson, Mr. Mabiglia said, “How wonderful! I’ve worked for two years in a bank located on the street where the missionaries have done street-board tracting. Again and again I have practically brushed them as I passed them on the street, but I was too shy to respond to them. Now, in this miraculous way, I have met you.” At this point we should change the “Mister” to “Brother,” for after receiving the lessons, the man contacted by telephone was baptized, and Brother Mabiglia is now serving in the presidency of the Naples Branch. In the lives of the Wirthlin family, it all began over a hundred years ago with my great-grandfather, Leopold Wirthlin. He was born in Switzerland. As a young man, he embraced the gospel and was promptly disowned by his parents. This motivated him to make the long, hard trek to the Salt Lake Valley. Some years thereafter he received a call from President Brigham Young to serve a mission in Switzerland. He readily accepted. So that he could go, he sold all of his possessions. My great-grandmother sewed salt sacks at a penny apiece to support her family in his absence. 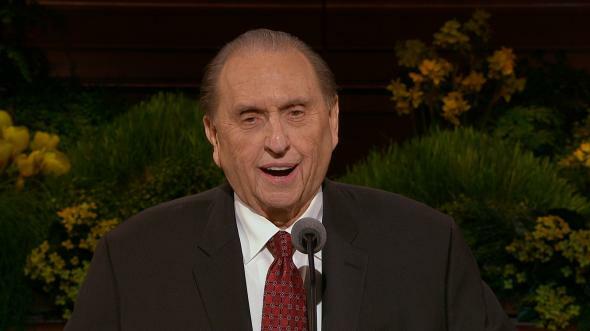 May I add to his words these of my own: I know that God lives, that Jesus is the Christ and that the Father and Son appeared to the Prophet Joseph Smith. Through him the true and everlasting gospel was restored among us, that we might attain the heights of a glorious exaltation as the beloved children of our Heavenly Father. To this I testify in the name of Jesus Christ. Amen.